← Are You Taking Your Air Brake System for Granted? Plenty of exciting things are happening at your favorite TravelCenters of America and Petro locations, and we’re excited to share them with you on our new blog, Back on the Road. Back on the road is your resource whether you’re running a route or you’re road tripping with the family. 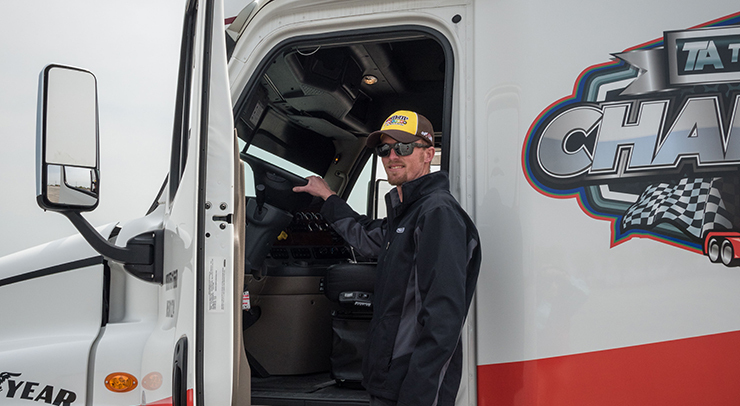 In addition to sharing what’s happening at TA and Petro locations, we’re sharing our expert advice on everything from dining on the road and convenience store snacks, to advice and maintenance tips for professional drivers putting in a long day’s work. Check back often to see how you can make the most of the many resources our facilities offer, and make your time on the road just a little bit more fun. Whether it’s a full tank, a hot meal or a truck repair, our facilities are your go-to for getting back on the road, and this blog will be your new go-to for all of the information you need before getting back on the road.